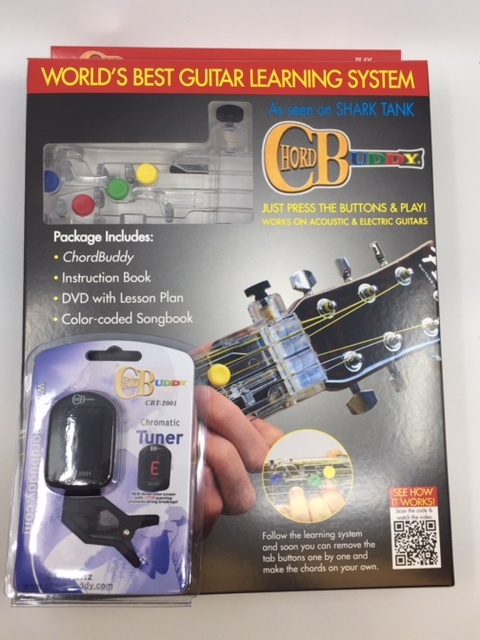 Each package includes the ChordBuddy as well as instructions on how to properly attach the device to your electric or acoustic guitar. 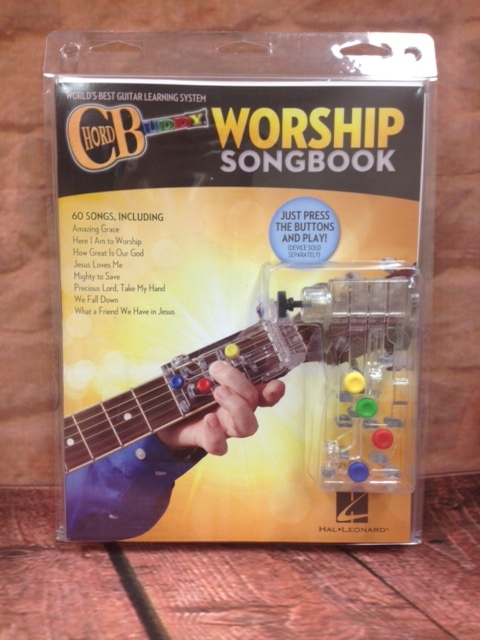 The lesson plan and companion DVD will have you playing popular songs in no time. The ChordBuddy Worship Songbook includes 60 songs, some old and some new, and shows you how to play them with and without the ChordBuddy. 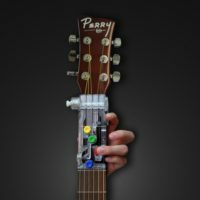 Will ChordBuddy Work on my Guitar? Measure across the neck at the nut (the white bar between the frets and the tuning pegs), it should be around 1 3\4″ (1 ½” minimum and 1 7/8” maximum) and from the nut to the 3rd fret should be approximately 4″. 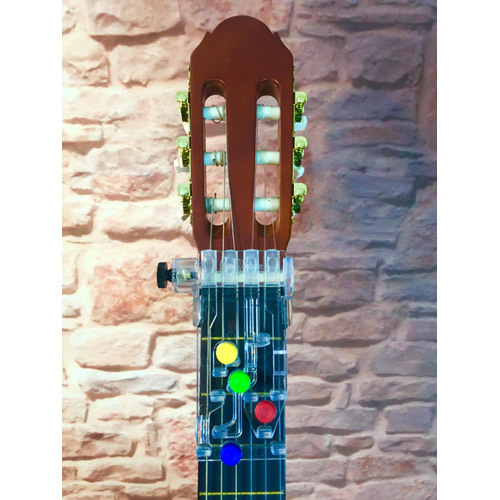 ChordBuddy works with both left and right handed guitars! The “right” and “left” handed ChordBuddy will work with full size, 3/4 size and 5/8 size guitars. If you have a classical guitar (any guitar with a neck width of more than 1 7/8″) you’ll need to make sure to select “Classical” from the drop down. We do not have a ChordBuddy for a left handed classical guitar. Don’t know if you need left or right? If you strum with your right hand and the biggest string is on the top; it is a right handed guitar. If you strum with your left hand and the biggest string is on the top; it is a left handed guitar. 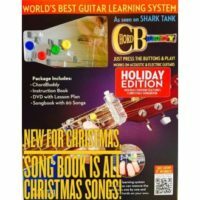 ChordBuddy will not work on half-sized (or any guitar with a neck width of less than 1 1/2″) (children’s) guitars. Classicals normally have a mixture of nylon and steel strings.